This is it, my penultimate draft is complete! I still have almost 3 weeks to get it finished before the deadline to submit to the Academy Nicholl Fellowships, too! All it really needs is one final once-over, and I think I can wait a few days so that I can look at it with fresh eyes. I’m excited, to say the least. Five weeks ago I was asking if someone else could adapt my first published novel into a screenplay for me. Now I’ve got plans to enter a prestigious screenwriting contest with a screenplay that just over a month ago, I didn’t think I was capable of producing! And you know what? Prize or no prize, I’m already a winner because I discovered that another writing skill from my last life is still there. Back then I wrote screenplays based on one or two of my novels, though none were ever produced (the movie adaptations of my books were the work of other writers). I think my tendency to write unnatural and stilted dialogue was a major factor. I still haven’t given up on my big comeback. As long as I have a pulse, I will keep writing. The week has been busy and demanding. This stretch is particularly important for initiates into the church and at this rate I will be made a lay server by summer, almost for certain. I still worry that I may not have what it takes. I see a lot of the same ego, anger, and fear that I’ve had for so many lifetimes. These shortcomings have been laid bare before me with the revelation of past lives but they’re still with me here and now, in the present. The thing about ego is, it isn’t always plainly narcissistic. True narcissists tend to have an antisocial streak. For the rest of us, ego can manifest as thinly-veiled fragility and dainty vanity, wanting nice things to appear “respectable” before the world and going to pieces when called out for being less than what we know we ought to be. It’s funny, the dominant traits of the protagonist in my last novel were described by one reader as “vanity and fragility” that were “all too real.” That’s me. I’m human. All too human. 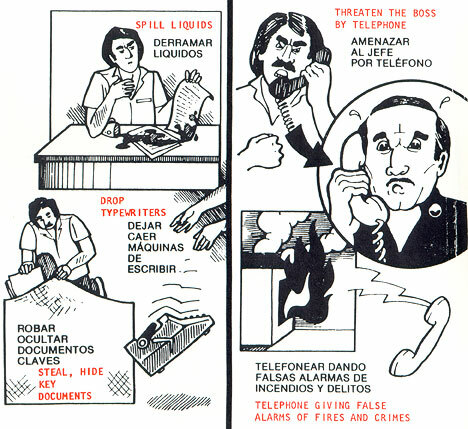 In the 70s and 80s, the CIA distributed leaflets in South and Central America advising people on how to carry out acts of resistance to regimes the US wanted to overthrow. Studying these manuals, one step shows up often: calling in false alarms and bogus information about crimes. Now, phoning in false information about crimes in progress is itself a crime, and I am not going to encourage my readers to commit a crime or engage in a psy-op against state and local governments because… well, then I’d be a criminal too. I will however say this: if you make a statement saying that you saw someone who “looked like they didn’t belong” in a restroom or locker room, that’s a statement of subjective perception and cannot be categorically proved false. Now suppose all of us- both those of us in the trans community and our allies- were to be… shall we say… extremely vigilant about our perceptions and make calls often enough that the states that pass bathroom bills had no choice but to ignore reports? Hmm… wouldn’t that be something? It has always bothered me how I thought in my last life that I had attained Gnosis and would be free from the bounds of this world at last. It always bothered me that I did not achieve the liberation I had sought and it’s left my mind to wander. And yet, what I come back to again and again is the Wild Fox Koan, and the natural syncretism between Buddhism and Gnostic Christianity that has kept me fascinated for two lifetimes now. I am now increasingly of the opinion that the lives I remembered as a fox- whether they were actual, literal lives I had lived or a tutelary vision- was something I remembered for a reason. Something- perhaps my higher self- wanted to give me a clue as to why I’m still here and not in some higher plane of existence. It is a grave error to deny that cause and effect applies to the enlightened and I believe I committed this error. I did not live five hundred lifetimes as a fox as far as I know, and I’m still skeptical that I lived even one or two. That is unimportant. What matters is that my experience of Gnosis had freed me from the grip of this world and that my actions and more importantly, my attitudes, would not cause me to fall from grace. This is born out by what has been written about my earlier life from those who knew me best. I still had a very unenlightened attitude toward women that thankfully I’ve got some fresh perspective on now after living three years as one. I still had a very unenlightened fearfulness that sadly has carried over to this life and remains an obstacle that I’m still dealing with. I still had resentment toward people in my life who I felt had wronged me. And yet I thought that it wouldn’t matter because Logos had entered into me and made me a new creation. I was wrong. No matter how far along on the path you are, you can always fall off and the free will of your lower self does apply. Actions and attitudes do matter, and they matter almost as much as our initial experience of Gnosis. I fervently hoped that having learned this lesson, I can strive for the improvements that I need. The first order of business is my fearfulness. In my last life, I feared Adolf Hitler, Joe McCarthy, and later Richard Nixon with the same intensity that I fear Donald Trump and his ilk today. I fear them so much that I have seriously considered fleeing the country. And before anyone says I wouldn’t, let me remind you I did flee the country after Bush invaded Iraq on false pretenses. There is, however, a new force in my life that begs me to reconsider such action. That force is the Gnostic church I have been attending for the last several months. I feel that this church actually gives me an opportunity to be in a position to help many people in the times of crisis that are almost certainly on the way. It’s more than that though. It gives me a chance to find focus and equilibrium. It gives me a chance to make a difference in people’s lives without the sort of leadership vacuum that would allow any moral weakness and ego I still have to become harmful. But most importantly, it gives me a reason to face uncertain times and likely dangers without being so preoccupied with saving my own skin for once. I’m genuinely concerned that I’ll be killed in the political violence that I believe will soon tear through this country with a ferocity not seen since 1860, but I’ve spent so many lifetimes running from dangers like these. I remember so many lives when I either fled the fight, or I jumped willingly into the fight only to die for a worldly cause that no longer matters. My last life was the former and the life before was the latter. What I don’t remember is a single life when I dedicated myself to a life of non-aggression and spiritual reflection. I know that abstaining from my centuries-long pattern of fight or flight does not and cannot guarantee my safety, but that’s not important. I do not believe that one should seek martyrdom (people who seek martyrdom are narcissists of the worst order), but I’m also coming to understand that a martyr is not the worst thing you could be if that’s the fate you meet. This is the attitude I will stake my understanding of cause and effect on: “Seek ye first the Kingdom of God.” I will enter the clergy in a Gnostic order and I will take this attitude as far as my will and strength allow me to. Here I am, Lord, lowly wild fox that I am! I feel worse about this than anyone I killed during my subsequent life in WWI. Why? Was it because I was desensitized to it? Did the war warp my moral compass? Or was it the fact that at least during the war I paid with my life whereas in this earlier life I escaped justice? I stayed one step ahead of the hangman and very likely died in my 60s. Under self-regression I saw myself getting drunk at a crew party after an opera and falling into a river, but I’ve also seen flashes of the fall of the Paris Commune of 1870 so I’m not sure. I don’t think I was ever caught and executed though; I can’t find any known executions that match the facts of that life, anyhow. One of my readers contacted me recently. Apparently she has memories of a past life in WWI as well. I was very struck by how she described the distressed way her art looked when her memories first broke. My photography was much the same way while I was living in London, and although I didn’t have conscious memories back then I feel that they were just below the surface, so this post is all about archiving examples of the sort of art shots that I felt compelled to take while I was in the UK. It was around this time that I discovered that black and white photography is excellent for highlighting the tortured details of distressed objects. It became cathartic to seek out textures that stood out. My compositions in many of these photos are stark, still, and silent. They’re conspicuously empty of people and show inanimate objects deep in the grips of entropy. My fiance can’t even look at them because he finds them disturbing knowing what he knows about my memories! I have many such shots, but I’ll only post a few that look eerily like pictures from a war zone. Urbex at the Queen Elizabeth II Centre (now demolished), May 2005. Two nights in a row, I have had dreams about a life lived half in Oregon and half in California that my foray into the film industry- whether as a screenwriter or as a historical consultant- could eventually lead to. My plan, if this becomes lucrative, is to telecommute. I’d have a tiny house on an acre of land near Portland, and a condo in the L.A. area. I’d get a conversion van or something similar so I can drive down there and carry all the necessary stuff without too much driver fatigue. 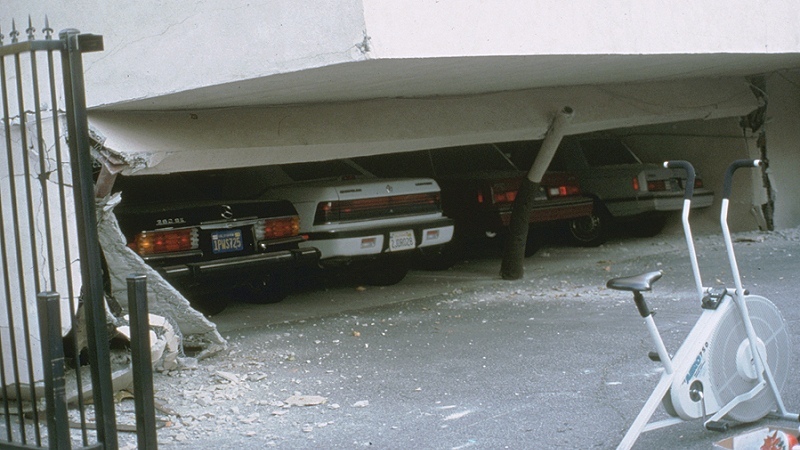 In a dream night before last, I owned a condo in SoCal. It wasn’t the nicest place; we were living out of boxes piled in the spare room and I was fretting about the soft story, which is vulnerable during an earthquake, but it was mine. Paid for. No more panicking about getting the next payment together. Then in a dream I had during a nap today, I saw the tiny house in Oregon I would live in. It wasn’t big; in fact it was more than likely an old fifth-wheel or a converted bus by how narrow and compact it was. But it was 100% mine, paid for, and so was the land it was sitting on. I was through renting, and if I wanted a nice house in the future I had a place to build it. In this dream, I was looking for my cat and finally found him, curled up happily on our bed. I laid down on the bed and snuggled close, petting him. I woke up with my cat more or less where he was in the dream. If these dreams are things to come, then they might come sooner rather than later because he’s getting very old (18 years) and he’s starting to slow down quite a lot. I don’t expect him to live much more than another year sadly. And what’s more, I have a very tenuous reason to think it might be true. Besides the screenplay, which I don’t see paying off any time too soon, I’m also currently getting my name in to potentially become a historical consultant on an indie film set in medieval Germany (still waiting to get in contact with the inevitable friend-of-a-friend connection). I have to say that although there is every chance they’ve already found someone else or that the film won’t get made, I’m excited because this is the best lead I’ve had since that video editing job in Vegas a few years ago. By trying to get into film through two different routes, I’m more likely to find a way in. I don’t expect to be able to live a glamorous life but I hope to at least get out of debt and become self-sufficient.